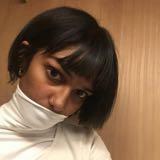 mnchps Amazing seller, super professional and fast service ! 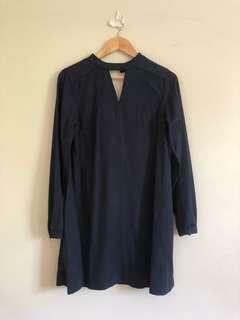 Clothes in amazing condition. 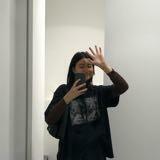 CLEAROUT! Sales are final, no returns. No swaps. 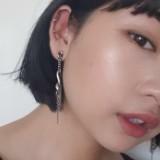 Add $ for shipping (pls DM to determine price) or can meetup (syd cbd/ syd north) Everything sent with tracking No refunds or returns as not responsible after post. 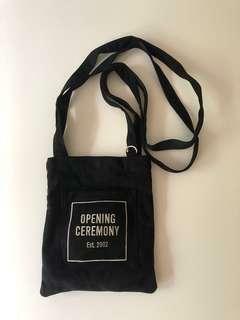 Opening Ceremony cross body unisex black bag Suede finish Silver embroidery Pocket on outside Snap button in main pouch and another smaller section inside Hardly used $100AUD Add $ for shipping or can meetup! Sales are final, no returns. No swaps. 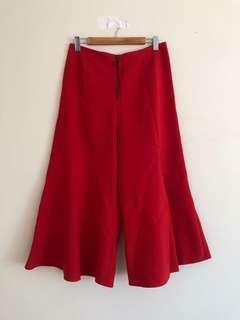 Lazy Oaf red corduroy pants Cute love heart pockets at the back! Comes with suspenders Worn once Size L - super loose on 8/10, wear with belt for loose wide leg $75AUD Add $ for shipping or can meetup. Sales are final, no returns. No swaps. 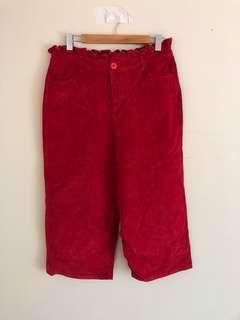 Red flare pants Worn once Size 12 - sits well for size 10 tbh if you want to eat lol $40AUD Add $ for shipping or can meetup. Sales are final, no returns. No swaps. 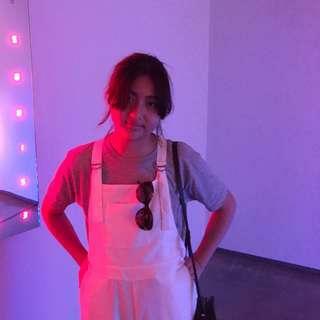 Crepe-like cream overalls I cut the hems of the legs bc they were too long. So has frayed effect now - doesn’t unravel in wash btw. 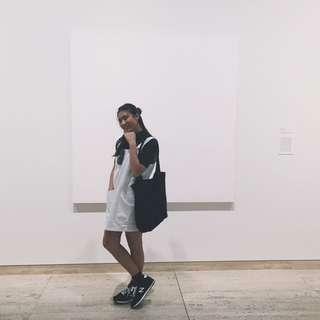 Size L - wore super loose $40AUD Add $ for shipping or can meetup. Sales are final, no returns. No swaps. 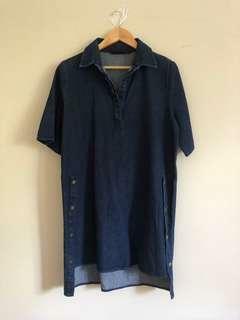 MOTO denim apron dress Wore super loose - could make a good art smock Size eu44, us12, uk16 Good big structured box $50AUD Add $ for shipping or can meetup. Sales are final, no returns. No swaps. Cut out dress. 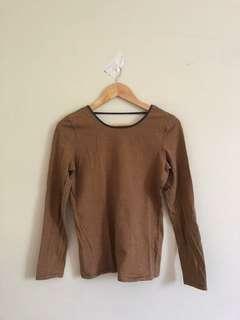 Cute long sleeves. Wide flow cut Size 8/10 $65AUD Add $ for shipping or can meetup. Sales are final, no returns. No swaps. 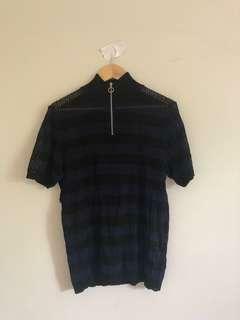 The Fifth Label denim dress Worn once Size L - wore loose for size 8-10 $65AUD Add $ for shipping or can meetup Sales are final, no returns. No swaps. 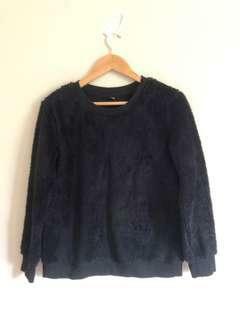 Uniqlo black fluff sweater Size XL: asian sizing so fits well size 8-10 tbh $15AUD Add $ for shipping or can meetup Sales are final, no returns. No swaps. 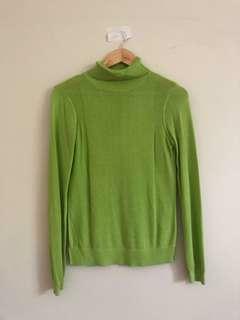 Lime turtle neck Worn once Size uk8, eu36, us4 $25AUD Add $ for shipping or can meetup. Sales are final, no returns. No swaps. 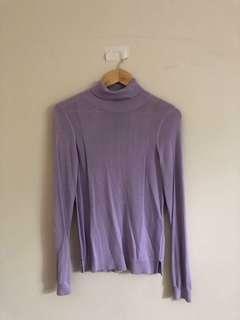 Asos lavender purple turtle neck Worn once Size uk8, eu36, us4 $25AUD Add $ for shipping or can meetup Sales final, no returns. No swaps. ASOS mens striped blue and black loose knit Worn once Free size: sits loose for womens size 8-10 $40AUD Add $ for shipping or can meetup. Sales are final, no returns. No swaps. 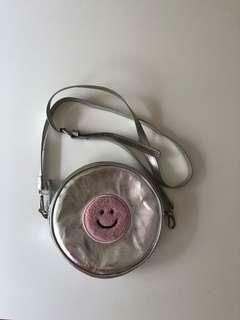 Lazy Oaf smile silver cross-body bag Inevitably a little dirty on the pink smile and some scratches on back (as shown in photos) $25AUD Price negotiable Add $ for shipping or can meetup Sales are final, no returns. No swaps. 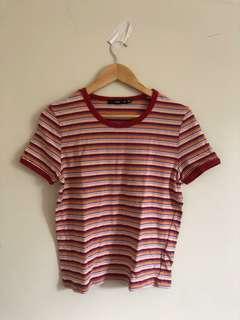 Red orange white blue striped tshirt With red edging around neck and arm holes Size M $25AUD Add $ for shipping or can meetup. Sales are final, no returns. No swaps. 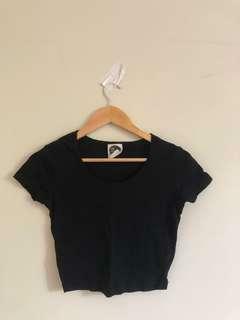 Black crop tee Hardly worn Size 10 $10AUD Add $ for shipping or can meetup Sales are final, no returns. No refunds. 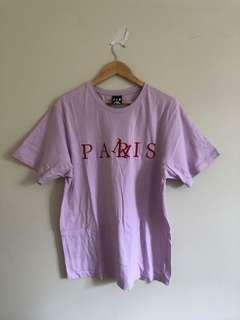 PAM light pink with red embroidery shirt Straight cut Size L $42AUD Add $ for shipping or can meetup. Sales are final, no returns. No swaps. Striped yellow grey low back stretch top Hardly worn Tight fit-ish Size M $20 Add $ for shipping or can meetup Sales are final, no returns. No swaps. 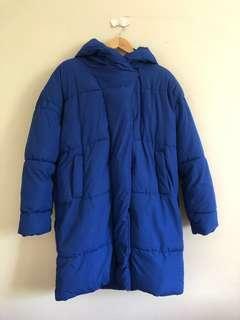 Blue long loose puffer Loose fit for 8-10 (refer to image) Size eur 34 $80AUD price negotiable Add $ for shipping or can meetup Sales are final, no returns. No swaps. 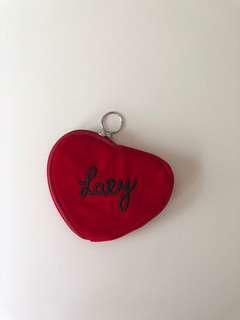 Lazy Oaf red heart coin purse Could fit other small things Suede-like finish ‘Lazy’ embroidered $17AUD Add $ for shipping or can meetup Sales are final, no returns. No swaps. 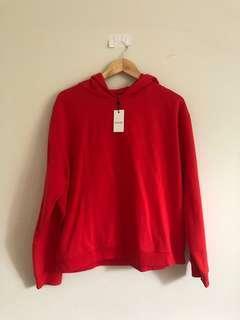 Brand new red hoody with tags Has thin fleece lining — warm! (RRP: gbp 26 = $48.50aud) $33AUD Add $ for shipping or can meetup Sales are final, no returns. No swaps. 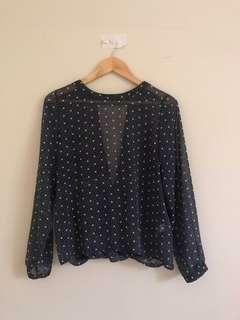 Patterned sheer chiffon top with open back Size 10 $30AUD Add $ for shipping or can meetup Sales are final, no returns. No swaps.